« Another update – posts to come! A lot has been said on emotion theory in psychological literature. There is an emerging trend however, that it may be wholly unfeasible to generate a satisfactory account of what emotion actually is with traditional cognitivist accounts of mind. The problem of emotion is certainly an issue that has been the main focus of philosophers, psychologists and other natural scientists for quite some time. Griffiths (1997) proposed that the term ‘emotion’ is scientifically redundant, as we refer to so many different processes and components when we refer to emotion; perhaps the term should be replaced with the specific process of the emotional experience we refer to, such as appraisal, motivational aspects, valence, intensity and so forth. However, with emotion touching practically every aspect of our lives, and the relevance of phenomenological research becoming apparent, emotion may now be a problem to which we can contribute many important and interesting insights. Emotion will certainly be a contentious issue for the foreseen future, but for now we can hope to find some meaningful insights from contemporary trends in psychological and philosophical approaches to mind. Lewis (2005) also makes a very interesting point, in that psychological theory tends to gravitate to a level of description that is subordinate, global and functional; and this makes it difficult to form true explanations. While philosophy has focused on the qualitative aspects of emotion, much of psychology has focused on empirical investigations. Current trends are noticing that emotion consists of intrinsically qualitative features that have been previously overlooked (Lewis, 2005; Colombetti, 2005; Slaby, 2007). As a result, there is a heated debate between theorists over what emotion might actually be. 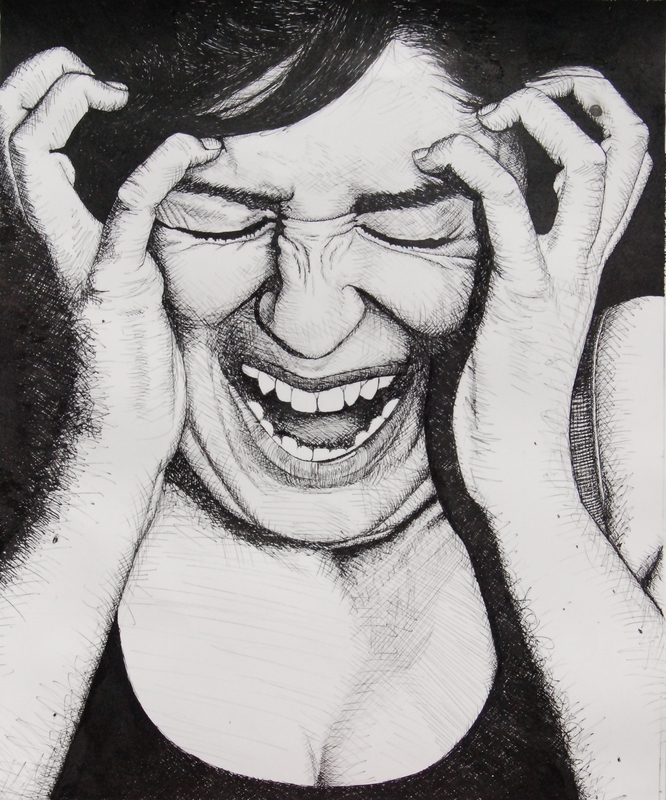 For this piece I am going to focus on the qualitative aspects of emotion while trying to remain aware of the criticisms of all that a qualitative approach entails. We must also realise that there may not be one thing to which we can refer to as an emotion, given its qualitative nature. Most theories of human emotion are deficient in terms of phenomenological adequacy (Slaby, 2007). An important phenomenological term in emotion research is ‘intentionality’. Intentionality has been defined by Slaby (2007) as the mind’s capacity to be directed at something beyond itself. This is not a purely cognitive process, but constitutively feeling-involved in the sense that the feeling body is taking part in a world-directed activity. From this instance, emotions are experiences of significance. This relies on a bodily sensitivity to the world which is an integral part of our experience of the world. In this we can see that the concept is inextricably linked with embodiment. This alludes to the point of seeing emotion as a sense-making activity of an organism and its world. Emotions and feelings are seen as overlapping concepts. For the purposes of this piece, I will make a very general distinction between the two, although research is quite divided on where the two concepts overlap. A predominant issue is that the two overlap on a number of levels, and it is at this level at which I wish to discuss, not necessarily the differences between them. From this point, feelings are seen as intentional as they are not just directed at one’s body and its physiological changes, but also at the world beyond the body. Slaby (2007) distinguishes two categories of feeling, but here I am concerned with encompassing the important aspects which generally concern emotional experience; not neglect crucial aspects of feelings in emotion. Intentionality, taken from the definition described above can be described as a ‘feeling toward’ activity. This has been discussed extensively in Goldie’s (2005) review of the feeling body. This concept can be seen as an awareness of significant events, situations or objects in the emotors environment. This is supported by empirical studies where even the outline of an actual object was enough to elicit an emotion in the individual (Lewis, 2005). 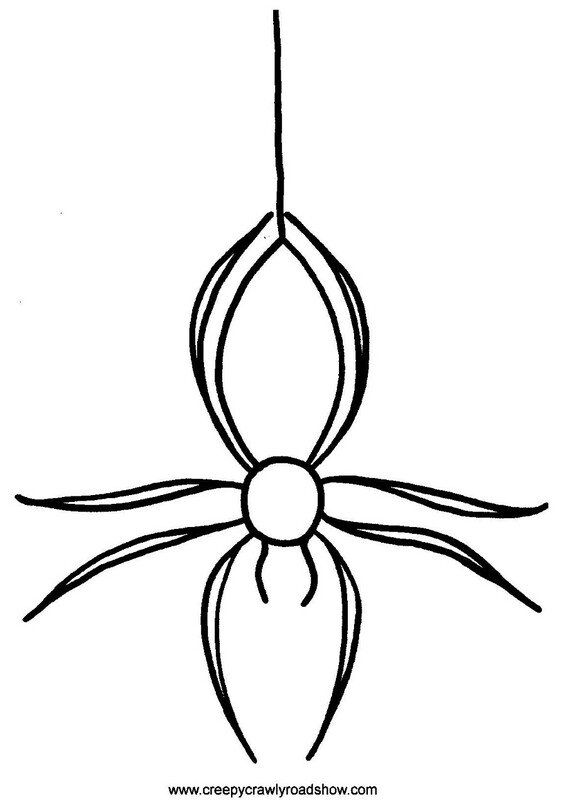 In this, it can be argued that the felt body is resonating in specific ways that disclose the subjective significance of the event perceived (for example, an outline or image of a spider will not elicit the same emotional response in each individual, it would be expected that an individual with arachnophobia would elicit a different response in physiological and phenomenological ways). Emotional content of perception presents the world as being a certain way for the emotor. There seems to be an emerging consensus that cognitivist views of emotion are entirely insufficient (Lewis 2005; Colombetti & Thompson 2005; Slaby 2007 and others). For many, cognitivist theories of emotion fail to make clear what is specific about emotions that distinguish them from non-emotional judgements of significance. Slaby (2007) and Goldie (2005) argue that this is due to an over-intellectualisation of the processes of perception. In doing so, aspects of human experience are getting lost. An emotion is essentially an embodied experience (Slaby, 2007). The importance of bodily nature is not a separable aspect that can be simply added to an otherwise purely intellectual appreciation of what is going on in emotional experience. This is precisely what Slaby argues against Prinz’s account of embodied emotion, which as Slaby sees it, falls victim to over intellectualising the issue and can be critiqued of generalising human cognition to zombie like states (Prinz’s notion of emotions being like smoke detectors for the individual cognisor). Prinz’s notion of emotions being ‘set up to be set off’ sees the body as a vehicle through which they fulfil a task and completely lacks the experiential nature of emotion. When we attempt to intellectualise this (reduce the process to an intellectual operation outside the head) we lose the quality that made it specifically an emotional content and meaning begins to break down. 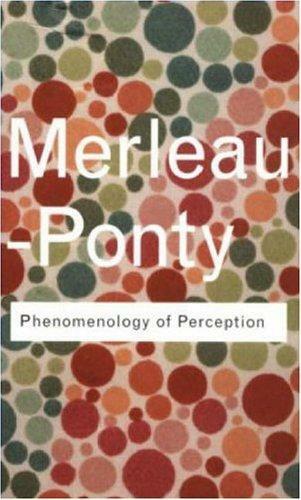 Phenomenological works of Merleau-Ponty puts forward the notion of the ‘lived-body’. Important phenomenological and empirical studies are arguing that the lived-body is not merely a static sense of an embodied state from which cognition can be described. Current research is putting forward a notion of a ‘living-body’, in the sense that the individual is a living autonomous system by which sense-making occurs through experience. From this, we ‘are’ our body. We are a ‘feeling’ body and the vehicle of existential evaluations. Cognitivist accounts at present cannot account for this ‘feeling’ state. From the phenomenological notion of intentionality, emotions can be considered as dynamical dispositions for action, rather than some inner state of being. That is, to experience an emotion is to relate or to ‘enact’ a property of the world, not just ourselves (Baerveldt & Voestermans, 2001). However, phenomenological notions can only take us so far. I mentioned previously that neurobiological research was important for the problem of emotion. Most phenomenological traditions fail to recognise that human action is consensually coordinated. People are involved in an ongoing flow of mutual adaptations. Baerveldt and Voestermans (2001) raise the issue that emotion is involved in consensually coordinated actions with other human beings (this is also seen in the enactive literature, DiPaolo & De Jaegher in particular). Emotions certainly play a central role in the establishment of the cooperative domains of interaction. An emotor has the ability to identify that there are other experiencing individuals who have their own unique experience about a similar situation, or more abstractly, the ‘same’ world accessed through experience. Emotions may be the faculty by which we make-sense of the world, recognising the experiential capacity of the other. In essence, people need people in order to make their own experience real, particularly their emotional experience. Ellis and Newton (2000) suppose that ‘self-organising’ systems are stable systems, but essentially are thermodynamically ‘open’ systems. By this they propose that the system exchanges energy and material with their environment (a physical interaction) while maintaining constant patterns of activity by appropriating and replacing the needed substrata for their definitive patterns of activity (the dynamical system of self-organisation). Lewis (2005) sees self-organisation as the emergence of novel patterns or structures, the appearance of new levels of integration and organisation in existing structures, and the spontaneous transition from states of lower order to states of higher order. Emotions, as understood as self-motivated activities, are caused by the individuals self-organising behaviour which uses objects in the environment to maintain the systems autonomy and continual organization (the process itself is part of the autonomous agent, for the agent and is constructed by the agent). The purpose of this is suggested as arising from a self-motivated drive of the system to attain a holistic equilibrium in the face of real or imaginary circumstances in the environment. Nesse & Ellsworth (2009) state that different emotional states may correspond to the adaptive challenges encountered in different situations. This certainly follows from Ellis and Newton’s proposal of emotion as a self-motivated activity of the individual; however Nesse and Ellsworth approach emotion from an evolutionary perspective. They place functional significance of emotions in individual lives, and also place emphasis on intensity of emotions felt and valence as essential properties of emotional experience. This research can certainly be seen as providing interesting developments and important contributions for an enactive approach to the problem for a number of reasons. It highlights some intrinsic properties of emotion including the autonomous nature of the self-organisational process, and emotion can be interpreted as essential to sense-making for the individual. Appraisal generally can be seen as the evaluative component of emotion (Colombetti 2005). Lewis (2005) states that appraisal processes identify aspects of a situation that direct toward what is important for the self. He also suggests that a variety of neural subsystems interact to produce appraisal and emotion processes that become coupled in a macroscopic emotion-appraisal state. The notion that higher cognitive aspects of appraisal may refine core emotion meanings is also particularly interesting. Colombetti and Thompson (2005) note that appraisal and emotion are so inextricably interconnected that they cannot be mapped onto separate brain systems. 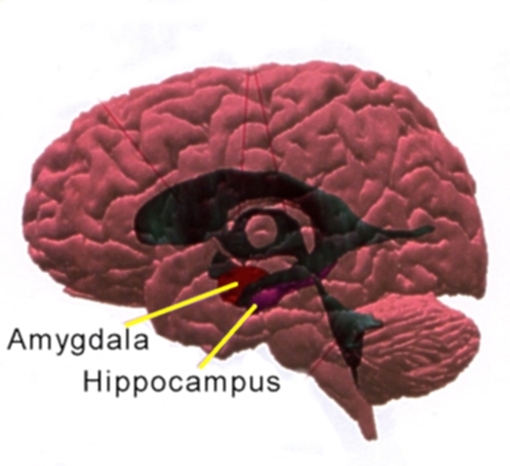 Nevertheless, research has shown that the amygdala is an essential structure involved in emotion elicitation (LeDoux, 2000). Other research has shown that the prefrontal cortical structures are involved in physiological emotional response (Damasio, 1999) as well as affective feelings. However, appraisal is often associated with higher systems (corticolimbic regions) (Lewis, 2005). Colombetti (2005) raises an important point on valence: what is positive and what is ‘negative’ depends on one’s concerns. If this is true, then valence is intrinsic to emotional experience. Colombetti goes on to evaluate a number of different types of valence, each of which describes some aspect to which valence refers. Valence generally refers to the ‘good’ and ‘bad’ properties of an experience. For current purposes, I am focusing on the general use of the term valence and how it can make significant contributions to understanding the problem of emotion. Valence is certainly an important notion for emotion theory. However, it certainly oversimplifies the problem of emotion and de-intellectualises the issue to the point where it may not be compatible to daily lived emotions. Colombetti notes that valence dichotomises emotion generally into positive and negative, however an interesting insight from DiPaolo (2005) can be interjected here to clarify some of the problems of a valenced approach. DiPaolo introduces the notion of grades of meaning for autonomous systems; it can be generally understood and adapted that subjective experience can be valenced according to a grade of meaning for the individual. While this approach could be promising, a neuroscientific empirical investigation could be exhaustive and unfruitful. Lewis (2005) applies dynamic systems principals to the process of appraisal in emotion in an attempt to connect emotion theory to neurobiology. In his review of emotion theory, he highlights the dynamic, distributed, nonlinear and emergent aspects of cognition. This is a step away from cognitivist approaches to emotion. Lewis argues that cognition is self-organising in that it builds on itself – it biases its outcomes and moves with only partial predictability from moment to moment. He notes spontaneous emergence from multiple feedback cycles. This, in my opinion, is an interesting accompaniment to a phenomenological view of emotion. In the next section I am going to discuss the overlapping brain structures and evidence from neurobiological accounts of emotional experience that I think will certainly be a good starting point for progressing emotional theory. Neuroscientific research on emotion elicitation has had many interesting insights to the problem of emotion. LeDoux (2000) has made important contributions to the understanding the process of fear elicitation in humans, referring to the amygdala as an essential structure for the experience. LeDoux also criticises some of the topics of phenomenological research such as ‘affect’, ‘hedonic tone’, and ‘emotional feelings’. While LeDoux is completely justified in criticising these concepts, he overlooks a key feature which the three aforementioned topics place central to their concern: experience. However, LeDoux remains optimistic that these topics can be built on and expanded to give important insight into the problem of emotion. He states: “by focusing on a psychologically well-defined aspect of emotion, by using an experimental approach that simplified the problem in such a way as to make it tractable, by circumventing vague and poorly defined aspects of emotion, and by removing subjective experience as a roadblock to experimentation” (LeDoux, 2000, p.177) we can overcome the problem of ‘affect’, ‘hedonic tone’, and ‘emotional feelings’ and make significant advances in the field. However LeDoux also notes that the amygdala is not the answer to how all emotions work. The role of the amygdala in emotion behaviour is still poorly understood. LeDoux concludes that unless we embrace spiritualism, emotion must happen inside the brain. From the research presented here, what we mean by ‘emotions’ is often ambiguous. Formulating a clear definition is somewhat problematic. Extensive qualitative research conducted by Gilbert (2001) suggests that emotions refer to feelings, sensations, drivers, personally meaningful experiences; something that comes ‘from within ourselves’ (Gilbert, 2001, p.9) and that which makes us truly human. These descriptors lack clarity yet aim at describing something which is innate to human experience. We come to realise that emotions may be culturally defined and socially constrained. They guide our interpretations of what we experience and are shaped by our life experience (Gilbert, 2001). Gilbert also raises a key issue that is commonly discussed in phenomenological literature, yet it was not elaborated here. That issue is with bodily intersubjectivity. Harris & Huntington (2001) discuss that as we engage in an interpersonal interactions on the basis of hierarchical roles (in lab-based settings: experimenter and participant), reciprocal roles are being held. This will have significant influence when it comes to formulating a set of methodological procedures for empirical studies of emotion. In this piece I wanted to highlight some interesting and often overlooked research on the problem of emotion. Emotion is an expansive topic in psychology, and one can certainly be intimidated by the diversity of the research. However, the issue is an essential and intrinsic property of human nature and a fascinating issue that requires further research. The enactive approach to emotion allows research to move in a new and interesting direction, namely a neurophilosophical investigation to the problem. We have seen that neuropsychological researchers are certainly resilient to the idea of a somewhat phenomenological approach to the problem, and their concerns are certainly justified. Clarification and further elaboration is needed on many of the topics that will certainly be brought up with a neurophilosophical and neuorphenomenological investigation of emotion. Baerveldt, C., & Voestermans, P. (June, 3-8 2001). An enactive view on emotions. Paper to be presented at the 9th conference of the International Society fpr Theoretical Psychology (ISTP). Calgary. Colombetti, G. (2005). Appraising Valence. Journal of consciousness studies, 12, No. 8-10 , 103-126. Colombetti, G., & Thompson, E. (2005). Enacting emotional interpretations with feeling (A response to Lewis 2005). Behavioural and brain sciences , 200-201. Ellis, R. D., & Newton, N. (2000). The interdependence of consciousness and emotion. Consciousness and emotion , 1-10. Gilbert, K. R. (2001). Why are we interested in emotions. In K. Gilbert, The emotional nature of qualitative research (pp. 3-15). New York: CRC Press. Goldie, P. (2002). Emotions, feelings and intentionality. Phenomenology and the Cognitive Sciences. , 235-254. Griffiths, P. (1997). What emotions really are. London: University of Chicago Press, Ltd.
Harris, J., & Huntington, A. (2001). Emotions as analytic tools: qualitative research, feelings, and psychotherapeutic insight. In K. B. Gilbert, The emotional nature of qualitative research (pp. 129-145). New York: CRC Press. LeDoux, J. (2000). Emotion circuits in the brain. Annual Review of Neuroscience , 155–184. Lewis, M. (2005). Bridging emotion theory and neurobiology through dynamic systems modeling. Behavioural and brain sciences , 169-245. Nesse, R. M., & Ellsworth, P. C. (2009). Evolution, emotions, and emotional disorders. American Psychologist , 129-139. Prinz, J. (2003). Emotions Embodied. In R. Solomon, Thinking about feeling. Oxford: Oxford University Press. Slaby, J. (2007). Affective intentionality and the feeling body. Phenomenological Cognitive Science , Online first. DOI 10.1007/s11097-007-9083-x.